Lowell’s tenure as University President — which stretched from 1909 to 1933 — was marked both by the major changes he instituted at Harvard and by his racism, homophobia, anti-Semitism, and xenophobia. Laibson and Zipser said students should not have to see images of the two Lowells — after whose family the House is named — in such a prominent space. During his tenure, Lowell created the house system and worked to integrate students from different socioeconomic backgrounds. He also sought to cap the number of Jewish students at Harvard and excluded African-American students from living in Harvard Yard. Alongside former Dean of the College Chester N. Greenough, Class of 1898, he led a purge of gay students — the “Secret Court” of 1920 — connected to at least one suicide. 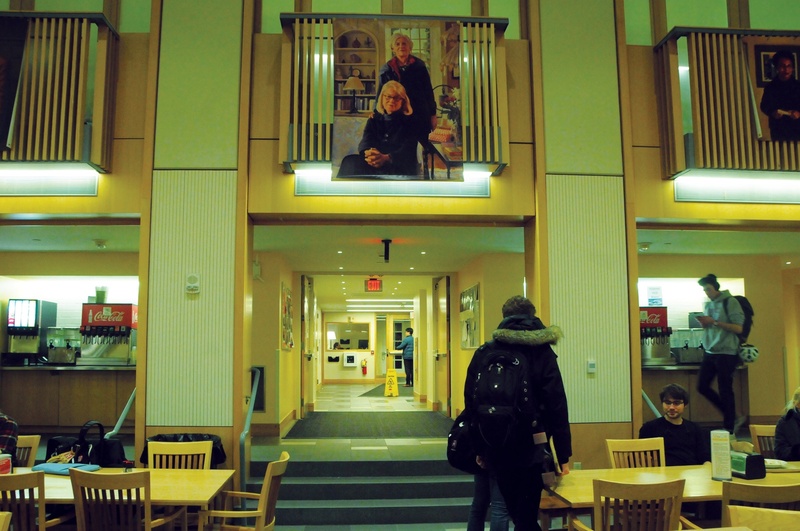 The portraits of Lowell and his wife hung in the Lowell dining hall before renovations began. Laibson and Zipser wrote that they did not want to erase part of Harvard’s history and that they plan to host discussions on the Lowell family’s legacy. They also wrote they will invite students to view another portrait of Lowell in University Hall. Laibson and Zipser also announced they would add several paintings by University portraitist and Lowell Senior Common Room member Stephen E. Coit ’71 to the renovated dining hall, including a portrait of outgoing Faculty Deans Diana L. Eck and Dorothy A. Austin. A portrait of former Radcliffe College administrator and Lowell Senior Common Room member Florence C. Ladd will also be added. Laibson and Zipser added that they would reinstall portraits of some other members of the Lowell family in the renovated dining hall. Lowell resident Richard Yarrow ’19 said he supports the decision to not display the portrait in a prominent place, but said he believes the house should not erase all signs of his tenure. Yarrow added that he thinks displaying portraits or busts of Lowell in less central house locations, along with plaques explaining his legacy, would remind students of Harvard’s history of exclusion and the need for the University to serve underrepresented groups. History department fellow Benjamin J. Sacks, who has written about Lowell’s tenure at Harvard, said the University should do more to publically grapple with his racist views. University spokesperson Jonathan L. Swain declined to comment on Sacks’s remarks.